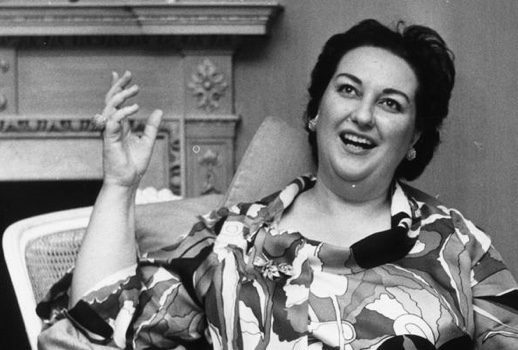 For the conclusion of its tribute to the late Montserrat Caballé, “Trove Thursday” offers Dvorak’s Armida, one of the earliest extant live recordings of the Spanish diva in a complete role, plus two prime-time concerts demonstrating her generous programming and featuring fourteen arias from Bellini and Verdi to Wagner and Debussy! Today’s otherwise no-star 1961 performance of Armida isn’t even the earliest document of Caballé: she sang Salome in 1957 at the extraordinarily precocious age of 23 in Basel. This rare Dvorak opera though may indicate that Caballé’s adventurous spirit began early; it’s hard to think of a post-war prima donna with a wider, more eclectic repertoire, from baroque to contemporary (that opera about Columbus with Carreras) and dozens in between. Bellini’s La Straniera, featured on a previous “Trove Thursday,” is but one of the many bel canto rarities she tackled. And along the way there was also Spontini’s Agnese di Hohenstaufen and Cherubini’s Démophoon, Puccini’s Le Villi and Saint-Säens’s Henry VIII, Massenet’s La Vierge and Pacini’s Saffo in addition to everything from Rosina to Isolde. Alongside the cornucopia of operas, she gave many many recitals and concerts. Two of the latter are offered here from her remarkable 1973-74 season which included such pinnacles as the Orange Norma and I Vespri Siciliani at the Met. Those interested in an earlier take on Armida might want to also check out Gluck’s Armide. Armida and the two concerts with orchestra can be downloaded by clicking on the icon of a square with an arrow pointing downward on the audio player and the resulting mp3 files will appear in your download directory. Other Dvorak offerings from “Trove Thursday” include Rusalka (in German) starring Hildegard Behrens and Kurt Moll; The Spectre’s Bride with Gabriela Benakova and Peter Dvorsky; Stuart Skelton and Krassimira Stoyanova in Dimitrij; and Magdalena Kozená’s Biblical Songs. Over 200 other podcast tracks are always available from iTunes for free, or via any RSS reader.